Spanning many genres including folk, blues, rock, and metal, it is evident how much people are fascinated by the Prince of Darkness and Satanism. 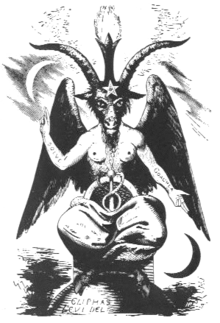 In my earlier article, “Satanism in music: Satan sets the tone,” we looked at how Satan has been portrayed in music throughout the years. His influence is everywhere. Cultures of every kind have had their own style of music that they use for spiritual practices. It's the same for Satanism, although each Satanist is free to choose the kind of music that is pleasing to them and they are not bound by rules or tradition. The first time I was introduced to metal was when a friend let me listen to her Mötley Crüe album Shout at the Devil. 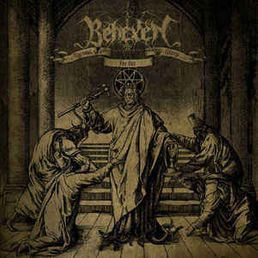 Although the members of the band are not Satanists, they used Satanic-themed art to decorate their album. I was immediately taken by the music itself, but the pentagram on the cover had a special energy that I did not understand at the time. I was drawn to it, and it made a permanent mark on my subconscious. A year later when I was browsing through music stores, the albums that had Satanic symbols or artwork on the cover stood out at me. I was fascinated and was curious to know what the music was about. One of the albums belonged to Venom. It was a few months later when someone wanted me to listen to a song— “Satanachist,” by Venom. I was in awe. The lyrics were about Satan, Latin scrolls, possession, and bearing the evil eye. That led me to buy the album and subsequently more albums by them. It was close to that time that I became a Satanist, and the music helped me on a path that was quite lonesome at the time. I searched for more bands that sang about Satan, which was all I wanted to listen to. 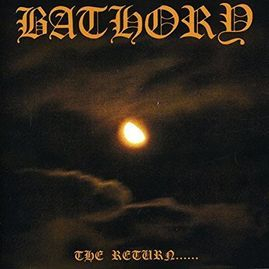 I learned of Bathory, whose song “Born for Burning” from Return... was dedicated to a witch named Marrigie Ariens, who was burned at the stake in 1591. This had a lot of meaning for me, as I believe in reincarnation, and have had strong recollections of being hanged in a previous life for being devoted to Satan. It helped to explain spiritual experiences I’ve had since I was very young. It became important to me to not only listen to music about Satan but to find bands that actually revered him. When I discovered Venom and Slayer and many of the other bands didn’t believe in Satan, much less worship him, it was disappointing. Then I heard that a singer by the name of King Diamond was an actual Satanist. 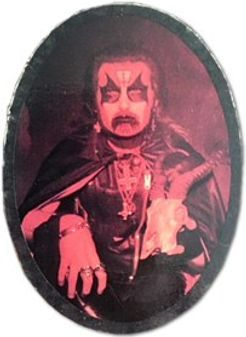 An image of a man with corpse paint, an inverted cross drawn on his forehead, wearing a black cape, and holding a goat’s skull, graced the back of the album. His energy felt real, unique in an industry full of pretenders. When I heard his music, I can describe it as akin to being in a Satanic chapel listening to a choir from Satan's kingdom. Although the lyrics didn't speak of Satan, it was the high pitched vocals and melodic style of instrumentals that brought me to another place. King Diamond is the lead singer of another band called Mercyful Fate, whose lyrics centre around Satan and the spirit world. I can recall searching for their albums at the Record Peddler, a Toronto music store very popular in the 1980s. I found Don't Break the Oath, that had songs about going to a sabbath with demons and witches and not breaking one’s oath to Satan. Listening to Mercyful Fate was powerful. King Diamond, bellowing praises to Satan was unlike anything I had ever before experienced. I listened to the album over and over again as I took long walks throughout my neighbourhood. An instrumental song, called “To One Far Away” emits feelings of sadness and longing, and it was meditating to this that helped me become closer to Satan. But it was “The Oath” that had lyrics so intense and full of devotion that helped me on my path. I will kiss the Goat." The main purpose of music in ritual, is to create a certain atmosphere. The type of music chosen would be in accordance to the kind of ritual being performed. This would assist in getting participants into the right frame of mind. If the ritual is devotional in nature, a song with lyrics that revere Satan can be suitable for the beginning. A good choice would be Coph Nia’s “Hymn to Lucifer,” from their 2007 album, Dark Illuminati. Before putting the music on, the devotee would prepare the altar by lighting the candles and burning the incense. Since the ritual is to Satan, black candles would be used, but if there wasn’t any on hand, a good substitute would be dark blue or red. In regards to incense, it is a personal choice, but it is best to avoid sweet scents such as fruits and flowers, as well as anything associated with the Catholic or Christian rituals. Good options include patchouli, musk, or Dragon’s Blood. 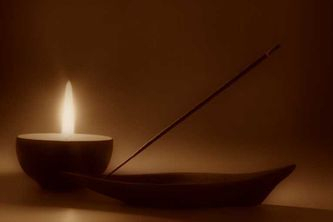 As the incense fills the room, the devotee spends a few moments in silence in order to leave the mundane and enter the spiritual. The music is turned on. If the devotee feels it is right, they may sing along with the lyrics, if not, they would stand quietly before the altar. When the song ends, the bell is rung nine times and then the invocation is recited. If it is a short ritual, the devotee might recite a passage from a sacred text, pray, and then close the ritual. This might be done first thing in the morning or before going to sleep. If it is a longer, more intense ritual, it may include meditation, visualization, pathworking, or an offering, in addition to prayer. It is personal, between the devotee and Satan, and should be done often in order to keep the connection strong. The ritual is closed by drawing a pentagram three times in the air with the dagger. of the darkness, light, life, and death. The mystery of the matter. If the practitioner chooses to use music during a ritual, it is wise that the style of music is changed to an appropriate instrumental before the invocation is recited. This is important in order to fully concentrate on Satan. A good choice would be “Black Goat of the Woods” by Black Mountain Transmitter, or “Agios O Baphomet” by Dark Imperivm. The latter is drum beats with chanting throughout, which is also perfect for meditation. When King Diamond was on tour for his Conspiracy album in 1989, I met him, and I knew that his music was much more than just words. I entered the room, and the first thing he did was point at the pentagram around my neck and asked me if I believed. I responded with a yes, and he said that was good, as he was tired of people just wearing Satanic jewellery to impress him. I have met a lot of bands over the years, but none that had the boldness and obvious dedication to Satanism like King Diamond. There are so many bands whose music has made a difference in my life. At my lowest, I could listen to their albums and feel not as alone, especially when I was surrounded by Christians and their music. To hear someone singing about the deity you revere, the words touching your soul as they encourage you on your Satanic path is a powerful experience. We live in a strange time. One where conspiracy theorists are implying that musicians don't have enough talent of their own, and have to make a deal with the devil in order to become famous. A deal with the music industry, perhaps. I am not a believer in soul selling, but I do believe that Satan will inspire his chosen if what they are doing is according to his Will. In those cases, the music will be an honour to him in some way, have actual occult teaching. Such music will cause a change in the course of things, a chaos. 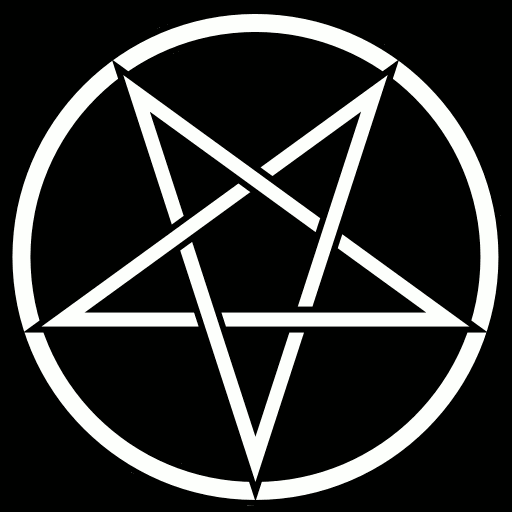 It would be great to finally see Satanism in different genres of music for this purpose. I had a friend, who before he died, played the banjo in a bluegrass band. When I asked him why he didn't make music for Satan, he said that people wouldn't listen to it and that it wasn't the right time. "My sweet Satan, You are The One." This article was first published by Spiral Nature in August 2016.